I do have a bit of concern over whether or not Laing would have moved the RPM ceiling value into the microcontroller's programming for the PWM version (e.g. a different programmed ceiling for each model, rather than a switch/solder pad to toggle between operating modes). I'd have to do some experimenting with one, I suppose... but it would probably make more sense from a cost control standpoint to keep the method of the toggle as simple as a bridged solder pad. 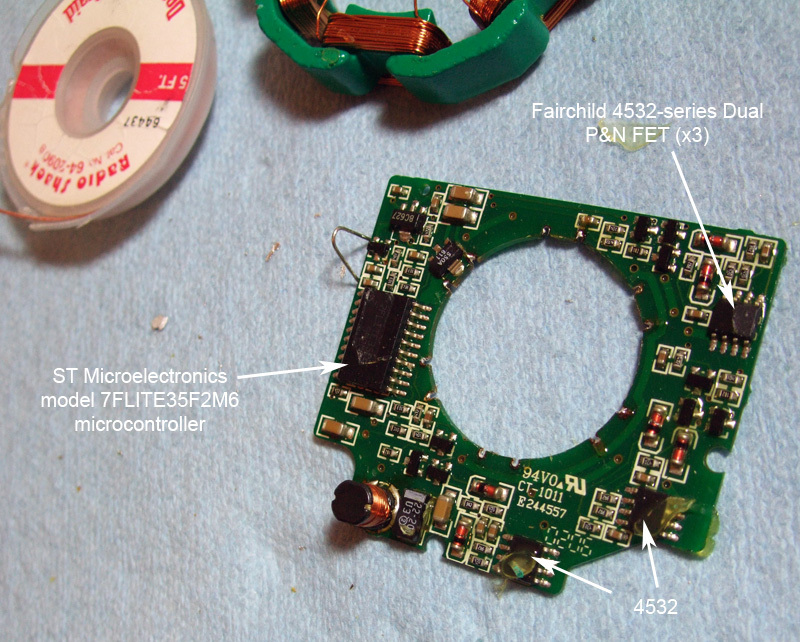 ...and the datasheet for those Fairchild FET's can be found here (pretty sure it's right, closest match I could find). We can make guesses and experiment by feeding the microcontroller different inputs, but it will always be a "black box" of sorts without the code they programmed it with. So, really, there's only so much reverse engineering that we can do (not to say that a toggle for the newer pumps couldn't be found).